Elizabeth Locke uses luminescent stones, antiquities, and Venetian glass intaglios in her pendant designs. The Venetian glass intaglios are made in 17th century glass molds, adding to the distinctive allure of her jewelry. 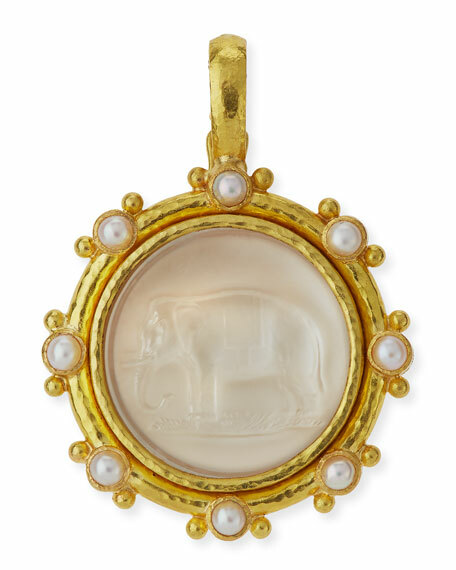 Elizabeth Locke pendant in 19-karat yellow gold with hammered finish. 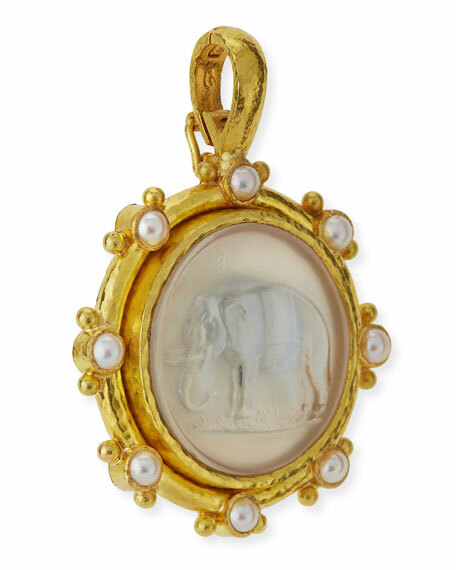 Round Venetian glass elephant intaglio with mother-of-pearl backing. Eight naturally colored, freshwater cultured pearl cabochons, 3.5mm. Top bale slips easily onto a necklace, 10mm. Please note: includes pendant only.